Our Piggly Wiggly Meat Department offers a savory selection of beef, chicken, pork and seafood. With our Certified Angus Beef being a prominent, high-quality choice for beef, we offer many choices that are great quality at a great price. There are many brands of beef, but only one Angus brand exceeds expectations. 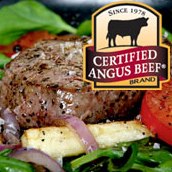 The Certified Angus Beef brand is a cut above USDA Prime, Choice and Select. Ten quality standards set the brand apart to ensure consistent flavor and tenderness with every Certified Angus Beef item you cook. Check out our CAB page for more info! We also offer an option for our value conscious customers who are looking for steaks with a great price equaling an exceptional value. From grain fed cattle, all of the beef in this category is raised and harvested in compliance with all applicable U.S. laws and regulations regarding the beef industry and are U.S. Government Inspected. 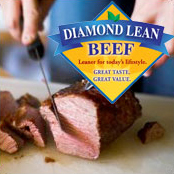 Our “Diamond Lean” beef offers Piggly Wiggly’s health and value conscious customers a clear choice. “Leaner beef for today’s leaner lifestyles” at a leaner price! 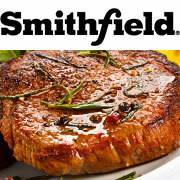 Piggly Wiggly offers Smithfield branded pork in all of their locations. Farmland is America’s leading farmer owned cooperative and provides Piggly Wiggly with the Midwest’s finest corn fed pork produced by their family owned farms. All of the Smithfield pork that Piggly Wiggly offers has U.S.A. as the country of origin and has an outside fat trim of 1/8” or less. If you’re looking for a flavorful, consistently dependable addition to your home prepared meals, then be sure to use Smithfield pork from your local Piggly Wiggly in your next pork recipe! We are “All Natural”. Gerber Poultry, where “The Feed Really Makes The Difference and The Difference Is In The Taste”, has been monitoring our feed for many years. We want you to rest assured there have never been additives or chemicals added to our feed as a preservative or filler. We do not use ionosphores, arsenic, melamine, bakery by-products or animal by-products in our feed. Just good wholesome grains (corn and soybeans)! Our chickens are “Vegetarian Fed”. At Gerber, we never add antibiotics or medications to the water. We do not use growth stimulants or add hormones for any reason! We use “No Drugs”. 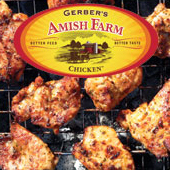 We, at Gerber Poultry, practice a “Free to Roam” policy at all of our Amish Family Farms; we reduce our flock sizes to accomplish stress free environments. We have Happy Birds! Check out our Gerber Page for more info!